How cool is Katie Holten? First she’s Irish, like me (although the comparison pretty much stops there). 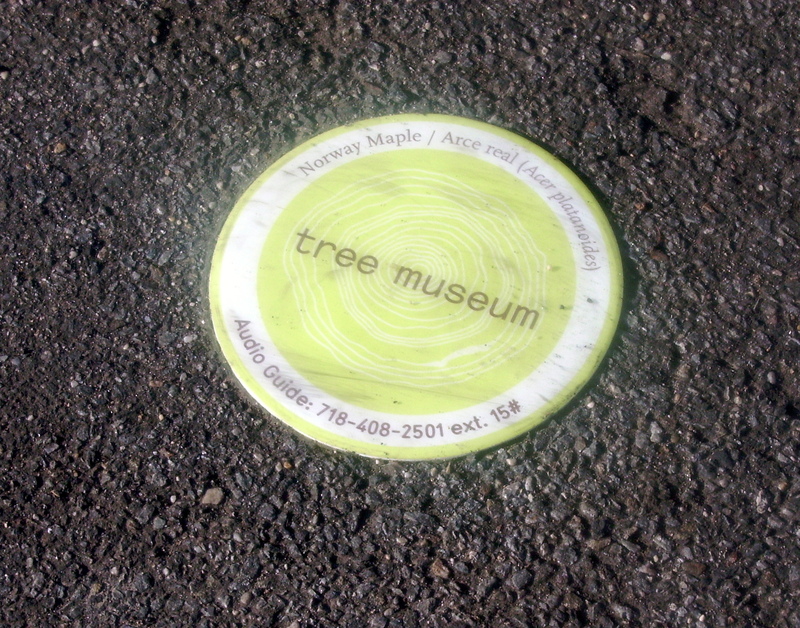 Using chartreuse green sidewalk markers by 100 trees that flank the Concourse, the tree museum stretches from 138th St. to Yankee Stadium, to Joyce Kilmer Park to the bridge over the Cross Bronx Expressway, to the Botanical Gardens and Fordham, before ending at Mosholu Parkway. Holten has turned every stop into a story, using the voices of the community to celebrate the communities and ecosystems along the way. 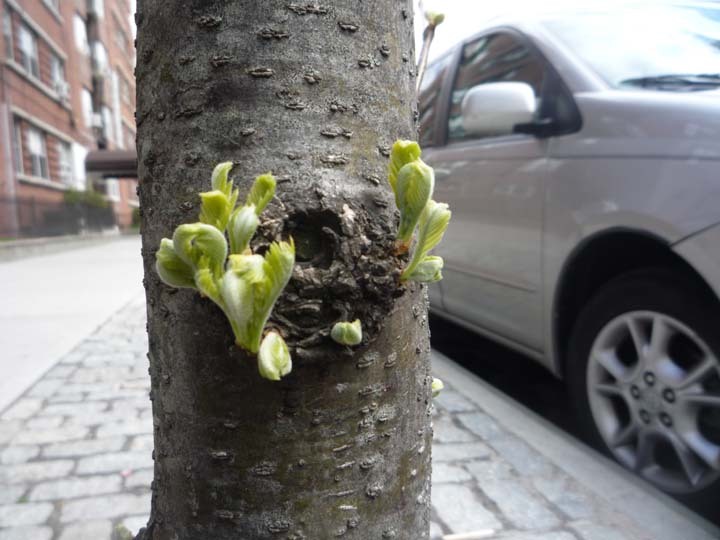 You stop by any tree marker, call the main number, punch in the tree code, and you’ll hear somebody telling you a Bronx tale – from professors to settlement workers, artists to Puerto Rican rappers, schoolkids to foresters. 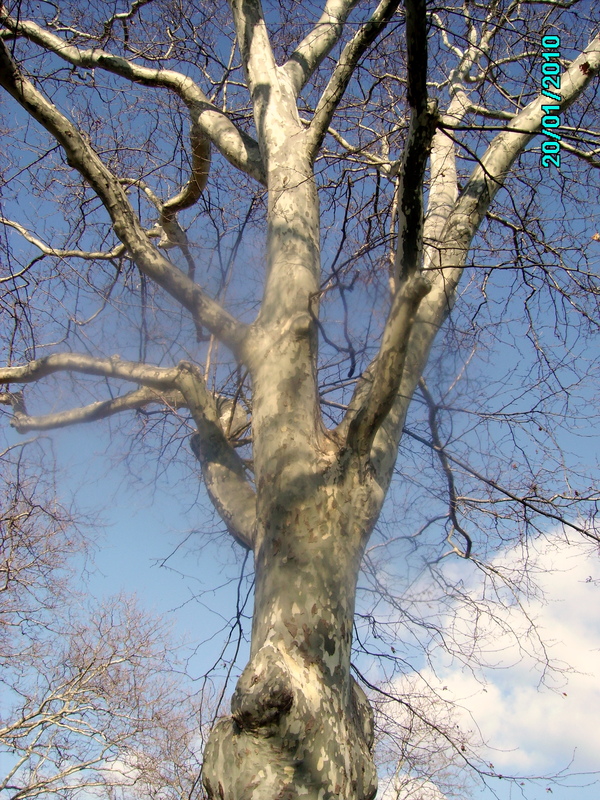 The stories don’t necessarily have anything to do with the trees, but as you’re standing there listening, you’ll find yourself staring up in to the branches, gazing at a cloud floating by, or looking down the long boulevard of dreams that is the Grand Concourse. It’s a thrilling, different kind of museum experience, even in the dead of winter when it’s 20 degrees outside and your camera has a weird fuzzy frozen spot in the middle. For making me get out there in January and look at the Concourse with new eyes (not to mention hugging a tree), $100 goes to Katie Holten for whatever she wants to do next.